Research from Southampton University suggests recent and projected increases in sea-level could have the effect of reducing the extent of the chines, and see some of them disappear completely. However projected increases in rainfall could increase the power of the streams, allowing some chines to continue growing at the landward end, counterbalancing this effect. Currently several chines which have been studied are stable or growing but projections suggest that by 2100 the same chines will be approaching or will have crossed a tipping-point after which they will begin to decay. The extent of human-influenced climate change is likely to have a major effect on the chines, and could see an end to the landscape, amenity and habitat. 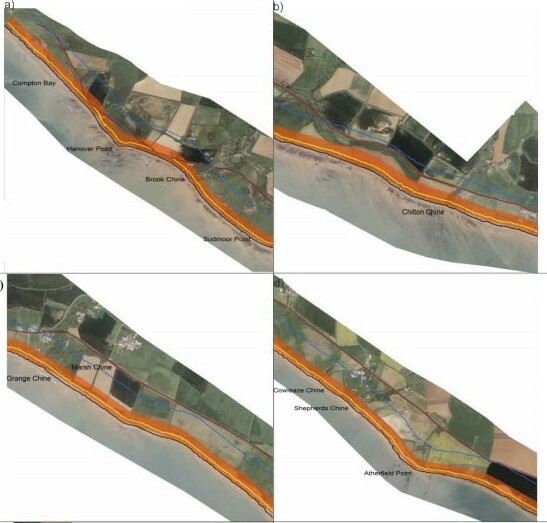 Image from the report “Modelling the effects of climate change and sea level rise on the evolution of incised coastal gullies” which can be downloaded from our “in-depth” page.